We are a 3rd Generation Plumbing Company that has served our customers since 1957. We believe in going the distance when it comes to our customers and making sure that from the moment you make that call, you have received top to bottom superior service that is Guaranteed and unmatched by the day to day handyman. Our goal is to Earn Your Trust, the old fashioned way by providing you with FAST, RELIABLE and FRIENDLY SERVICE at a FAIR and REASONABLE price. Relax – your water heater can be repaired today, at a time convenient to you. From repairs, to new water heaters installed at unbeatable prices (any written quote beaten), we can get that hot water going again like no-one else. You want someone who knows how to service YOUR model of water heater, rather than just select brands. 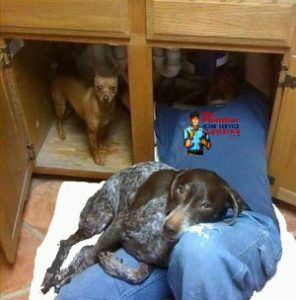 Mr Plumber Phoenix can service all makes and models, so it’s one less worry for you. And if you’re buying a new water heater, you get the choice of all makes and models to choose the water heater that is best for you – water heaters can be supplied and installed at a time convenient for you. Mr Plumber Phoenix is a full service plumbing company. We provide the parts, the heaters AND we install them for you.